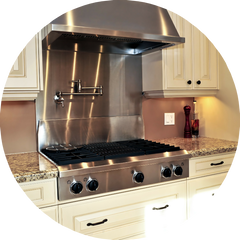 "Boise's Kitchen & Bath Cabinet Experts"
"we love building custom kitchen and bath cabinets"
Our kitchen & bath cabinets are crafted with exceptional quality to shine for years in the areas of your home you use most. 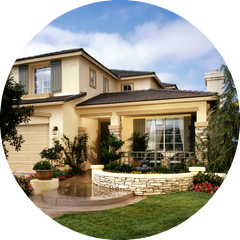 Contemporary, french country, modern, rustic - whatever the style, we build them with functional accessories, artisan finishes and professional installation. 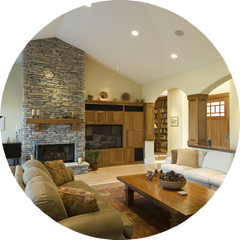 We build custom cabinetry and built-ins for every area of your home, all finely crafted and meticulously finished. Fireplace surrounds, entertainment centers, bars & buffets, bookcases & study cabinetry, computer desks & office cabinetry - just to name a few. 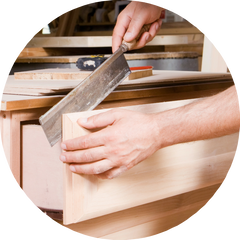 We build our fine cabinetry for both homeowners and builders. Whether it's cabinets for a kitchen remodel or a complete cabinet package for a new home, we've got you covered. Count on us for complete cabinet design, quality craftsmanship and flawless installation. More than just 'good looking', our cabinets are designed with functional accessories that make you smile every time you use them. From built-in recycling bins, roll-out shelves, and fold away mixer lifts to vanity organizers and folding ironing boards, we build our cabinets with features you'll use! We want you to rave about 'the cabinets' to your friends and family from now until the end of time. In our cabinet shop a handful of skilled craftsmen passionately build your custom cabinets to exacting standards. We're owner operated, which means Ernie is alongside making sure every detail is perfect. 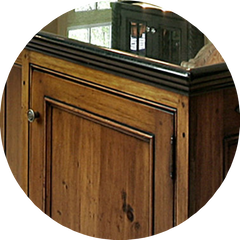 Our custom cabinets are the focal point of any home. We carefully apply artisan finishes to create a distinct look and feel that only comes from master craftsmen. 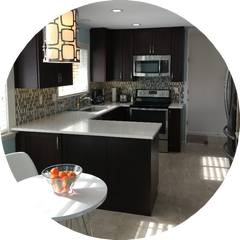 Meticulous installation by our own team of skilled carpenters ensures that the final fit and finish of your cabinets is nothing less than spectacular.